How we are when alone, or in relationship to others, or in the midst of a group can all be radically different experiences. In this workshop we will explore these connections through the maps of the 5Rhythms Dance. Neil Pinnock hails from the UK, he trained 5Rhythms Waves with Gabrielle Roth in 2008 & Heartbeat in 2018 with 5RG. 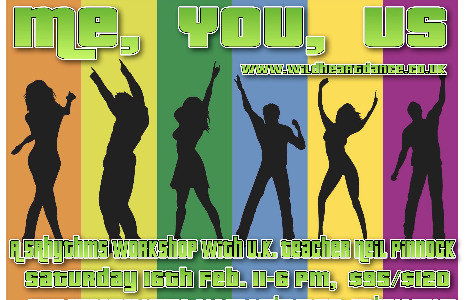 He regularly teaches workshops and classes across the UK and internationally. His style is passionate and tender, humorous and wise. His musical tastes wide-ranging and well designed to support the many levels of this dance work. Join us for this fun and informative, not to be missed, offering in New Zealand.